Using vitamins for skin health should be an essential part of your skin care routine. Many of you know the important role that vitamins play in your overall health and well-being. However, in my practice, I’ve found there is a disconnect between the role vitamins play in our skin’s health. Many of my clients don’t realize how critical they are when it comes to achieving beautiful, healthy skin! The importance of eating a balanced diet that contains essential vitamins and minerals is generally common knowledge these days. What many people don’t know is that even if you’re eating a balanced diet, only a portion of those vitamins are being delivered to your skin. Your skin is the largest organ your body has and it needs to be nourished just like the rest of your body. Even though it is the largest organ, it is also the last to take in the nutrients your body receives from food. With that in mind, your skin could be lacking the nourishment it needs to thrive. There are several ways to ensure you are getting the right vitamins for skin health. Supplements – Vitamin supplements are a great way to ensure your skin is getting the nourishment it needs. You want to look for a supplement that contains Vitamins A, B, C, D, E and K. There are several brands available that create vitamins for skin health specifically. We are still researching a brand to endorse and potentially carry in the studio. 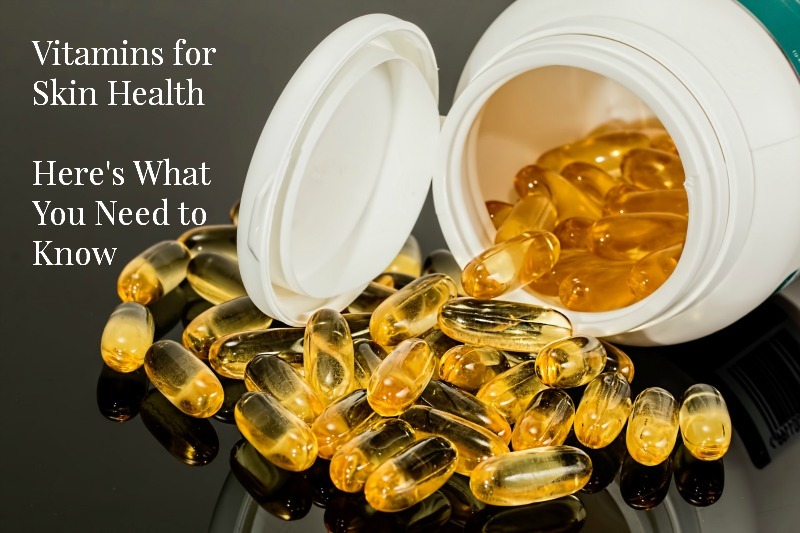 In the meantime, talk to your doctor about a vitamin supplement that might work well for you and visit your local nutrition center or pharmacy to see what they have on hand. Topical Treatments – Topical products are also a great way to get vitamins to your skin. By applying topical products to your skin, you can provide vitamins and minerals directly to the source. Omegas- Supports collagen production, aids in moisturizing skin, and repairs fine lines. Vitamin A – Has anti-aging benefits and can help reduce wrinkles, decrease brown spots and smooth skin. Vitamin B – B3 to be exact, can help reduce redness in skin. Vitamin C – Also has anti-aging properties and can help fade spots on sun damaged skin. Vitamin D – Helps promote healthy skin cells. Vitamin E – Great for moisture. Vitamin K – Can help improve the appearance of dark under eye circles. Again, before starting a new supplement, contact your doctor to make sure it will work with your overall health plan. Feel free to contact me about topical solutions and other ways to improve your skin’s health.